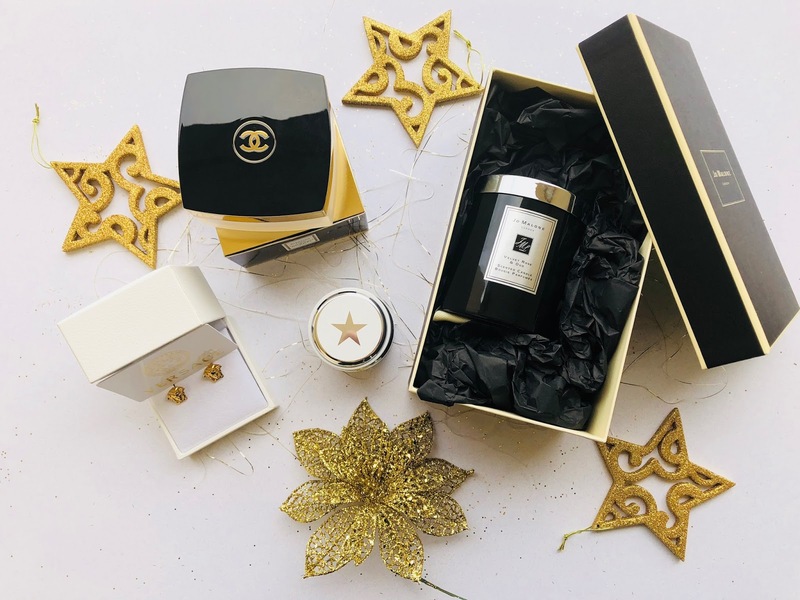 Christmas for an expat can be a difficult time of year, so whats the best way to get over the sadness of being away from your parents/family, at the most beautiful time of the year? 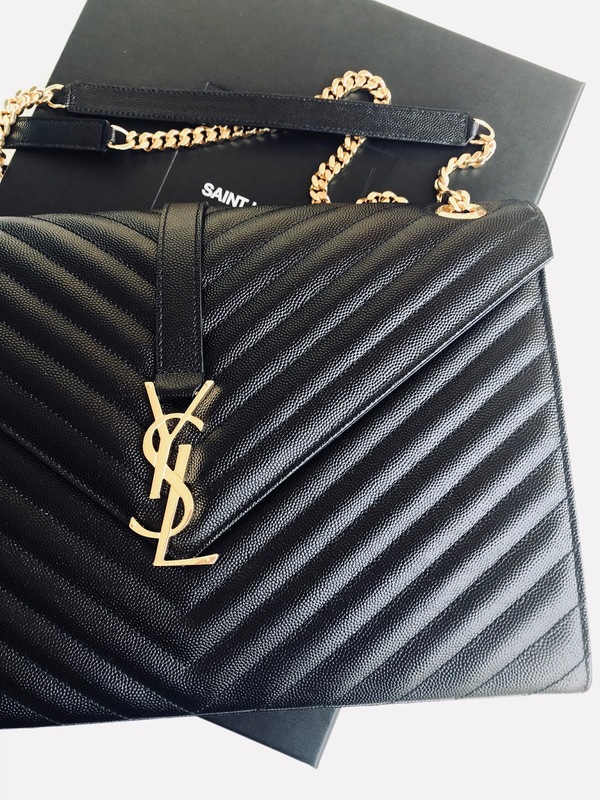 This Christmas was our third in Dubai and although not the same as back home, it is getting more comfortable and when you have a husband who is an impulse (no remorse type of buyer) Christmas presents are always guaranteed to be amazing! 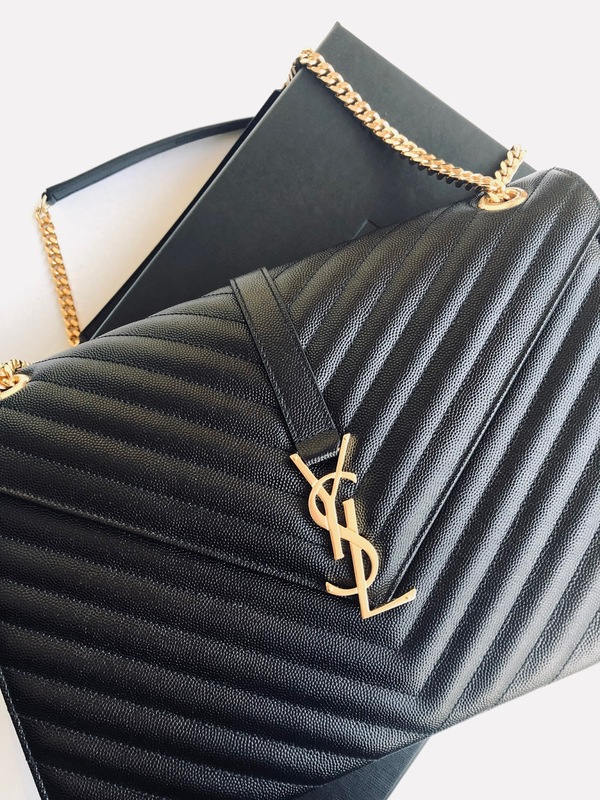 I'm a handbag fiend, and the stunning YSL Chevron Matelasse shot to the top of my ultimate luxury bag wishlist, with my lustings skyrocketing five months back, after trying this beautiful bag on for size. 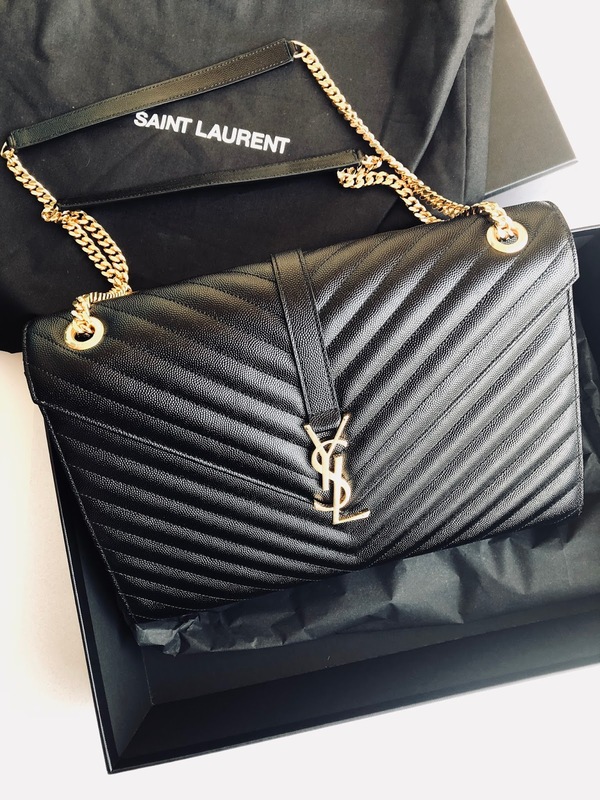 Once the large Saint Laurent gift-bag appeared under our fancy palm beach chic style tree, a few days back, all I could do was hope! Finally, on Christmas morning the time had come to find out! Wriggling around in anticipation, quickly opening the teasing gift bag, quietly chanting under my breath 'my hubby is better than yours' wondering had he done it? Had he got me THE bag? Yes, he did!! Here she is, my unicorn -LARGE ENVELOPE CHAIN BAG BLACK GRAIN DE POUDRE TEXTURED MATELASSÉ LEATHER. She is a stunner, and I can honestly say, that no other bag could better sum up my style, so perfectly!! The spoiling didn't end with the bag of all bags, and the gifts kept on rolling. Here is a nosey at my beautiful extra presents, that my gorgeous bestowed to me on Christmas morning 2017! I was well and truly spoilt, and I'm so thankful for my exceptional presents! Hope you all had a wonderful Christmas and were on Santa's nice list. Love to see your Xmas gifts, so please leave your links below so I can take a nosey back at what you got this year!